A healthy life begins with a healthy diet, and studies show that eating meals at home is consistently healthier than eating out. That means you’ll need to make the most out of your grocery store trip, which can be tricky. Grocery stores are practically overflowing with food options, and without the correct knowledge to determine the best course of action, it’s easy to inadvertently load up on unhealthy foods. 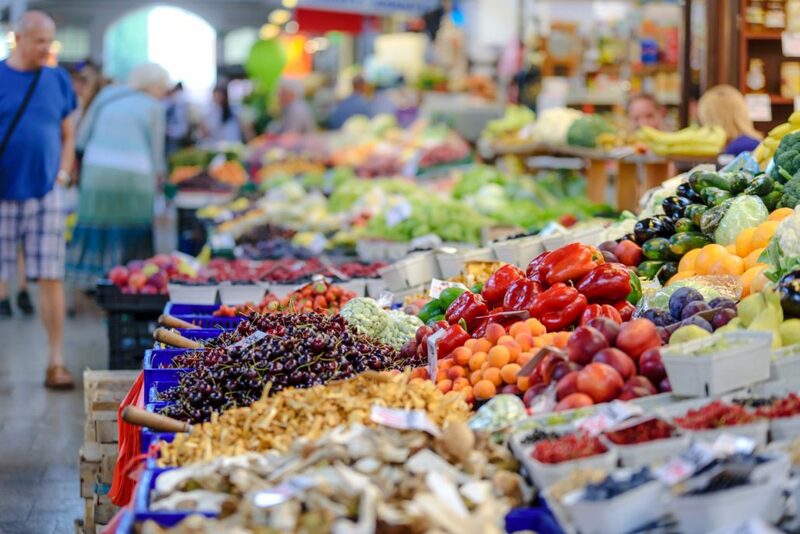 Here are a few simple ways to make your trips to the grocery store healthier, so you can improve your health and quality of life. One of the biggest mistakes you can make when grocery shopping is to do it while you’re hungry. This often leads to unhealthy, impulsive food purchases based on cravings instead of nutritional value. Hunger can cloud your judgment and cause you to make rash decisions on food items that you may regret later. When you’re hungry, you’ll be far more inclined to buy foods that look appetizing to you in the moment than you would be if you weren’t ravenous. According to a study done by Cornell, even short-term hunger can lead shoppers to buy 44.8% more high-calorie foods. Avoid unwanted purchases by having a healthy, filling meal before heading to the grocery store. Before arriving at the grocery store, write out a list of the healthy food items you want to buy, and stick with it once you begin shopping. Grocery store trips go downhill fast when you get sidetracked and start adding unhealthy things to your cart that you didn’t plan on buying in the first place. If you stick to your shopping list consisting of only healthy foods, you won’t have to resist the temptation of any junk foods in your home. Stick with your list and keep unhealthy food out of your house. If you need some inspiration check out some healthy recipes to give you an idea of what you should add to your grocery list. No matter where you do your grocery shopping, most stores follow a similar layout, making it simple to stick with one basic rule: shop the perimeter of the grocery store. Typically, healthier foods such as fresh fruits, vegetables, and meats are set up around the perimeter of the stores. Unhealthier options like chips, soda, and cookies are stocked in the middle aisles. Make it a point to stay on the outer perimeter of the grocery store, and you’ll find yourself loading up on healthier snack options. Eating healthy can be daunting if you’re new to it, but it doesn’t have to be so hard. With a little planning and some basic knowledge, you can have easy trips to the grocery store that result in a healthier lifestyle overall. Black Bean / Sweet Potato Tacos What Are the Benefits of In-Home Personal Training?